In collaboration with the Utah Master Naturalist program, NHMU educators are providing an opportunity for teachers to learn more about Utah's unique and beautiful ecosystems. 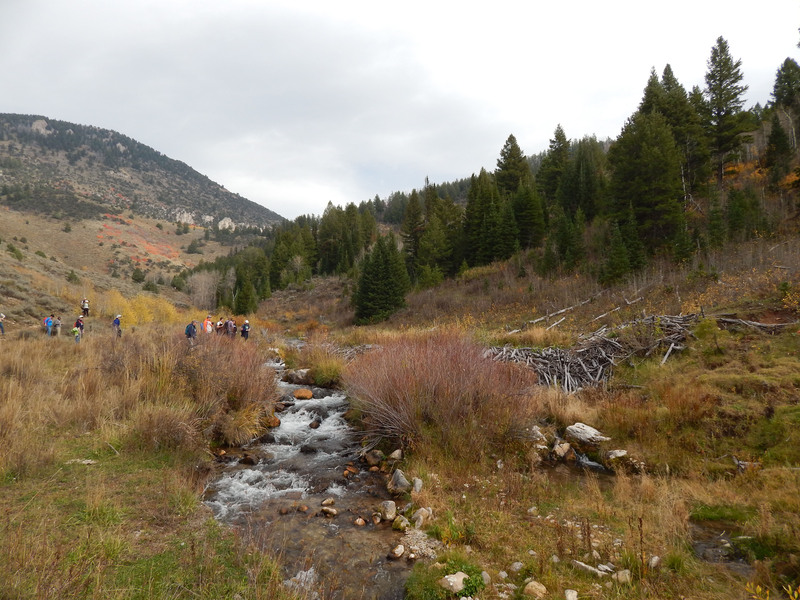 In the last of our Master Naturalist workshops being offered this school year, teachers will be spending three full days on field trips among one of Utah's distinctive features, the Rocky Mountains. Prior to this workshop weekend, teachers will be required to complete an online training portion of this course which will be emailed in advance. Teachers will earn 1.5 USBE credits for attending the field trips, and have the opportunity to be certified as a Mountain Master Naturalist. Preference for this workshop's cohort will be given to those who attended either the desert or watershed courses that were offered earlier in the year. Applications are due Friday, May 24, 2019 by 5:00 pm. Due to the nature of the Mountain Adventures course, we will be walking and hiking over uneven, often rocky, potentially wet terrain in unpredictable weather. Participants should be comfortable hiking at least 2 miles in a single day. While we do our best to accommodate people of all abilities, attendees will need to be comfortable with these accommodations. If you have questions or concerns about the activities required please contact Bonnie Jean Knighton.